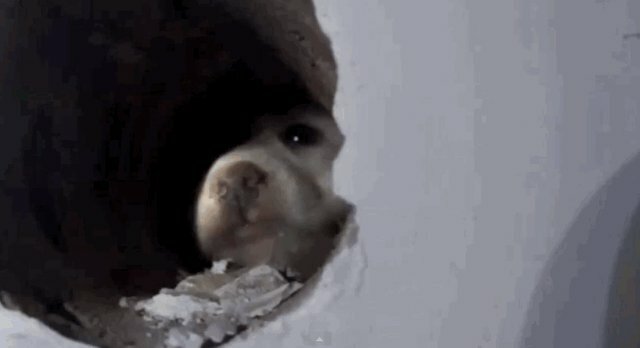 This puppy got himself in a hairy predicament when he got stuck inside a wall. The curious little guy wedged himself into an empty space where there was once an air-conditioning unit in his home, the Telegraph reported. 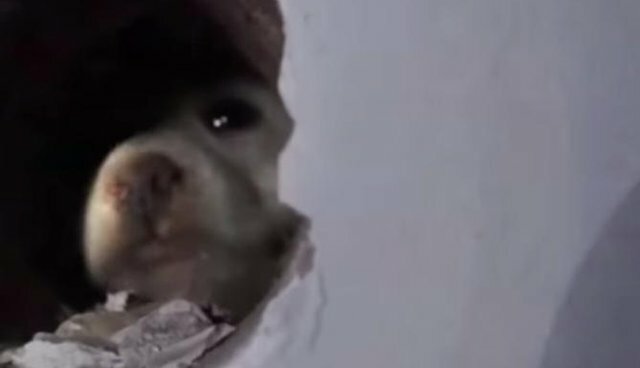 The video, taken in China, shows the poor puppy looking quite concerned: You can hear his frightened whimpers over the sound of the firemen chiseling into the wall. 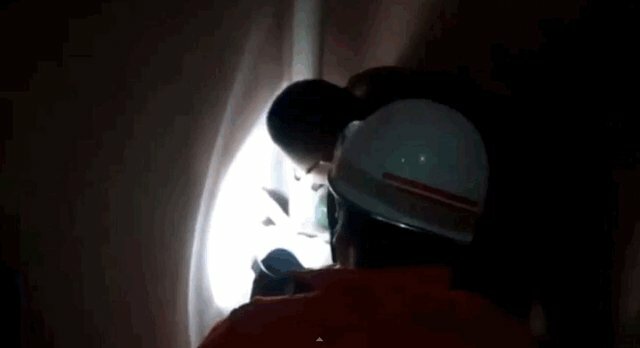 They eventually break a hole big enough to reach in and scoop him up. And he can finally be reunited with his worried human. 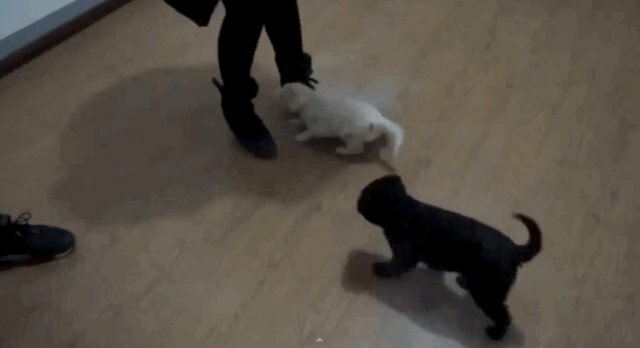 This story has a happy ending, but it's a helpful reminder that curious little puppies need lots of supervision. We can bet that this adventuresome pup won't go exploring any more dark spaces anytime soon.